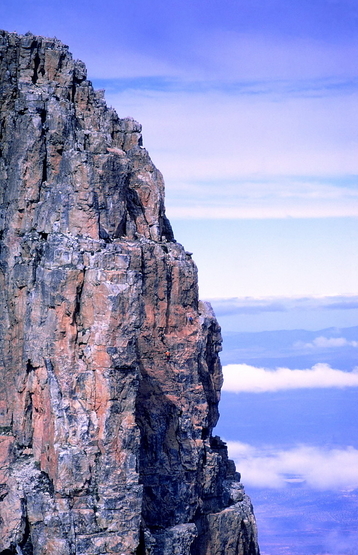 Towerkop as seen from Toorberg in the North. 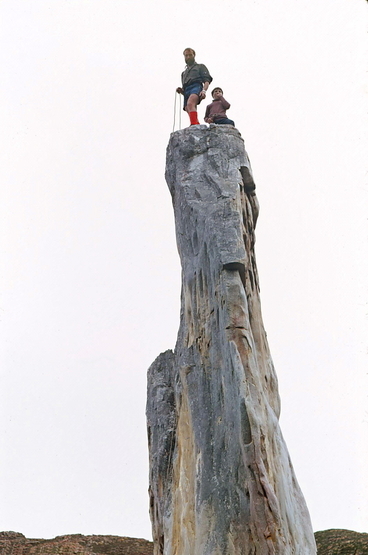 Mike McKecknie belaying John Moss on Bell’s Chimney, March 1975. Photo thanks to Mike Scott's collection. 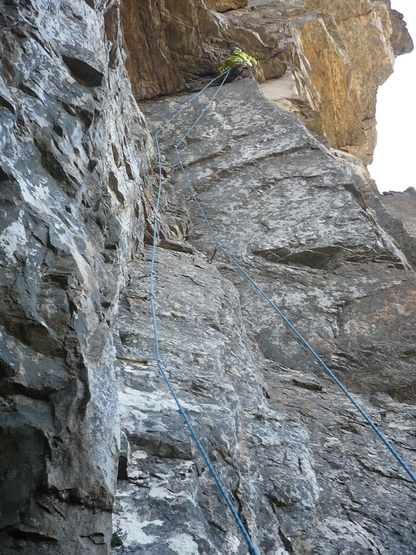 Juan-Dray Marshall opening his first route on Towerkop. He was only 14. 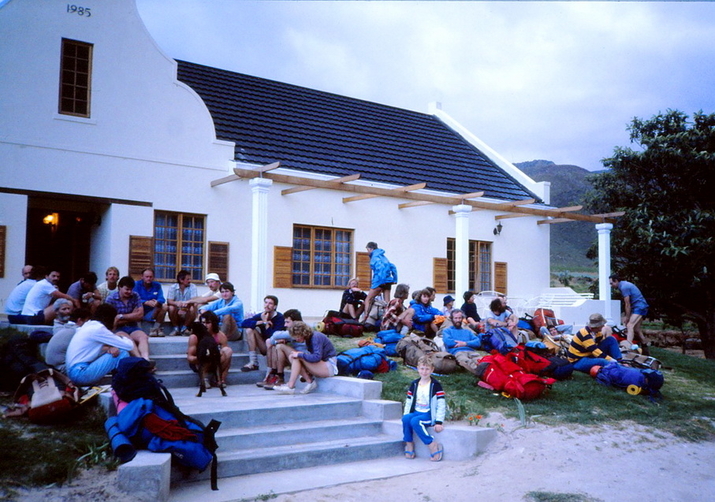 Climbers & hikers assembling at the Buffelskloof farmhouse for the MCSA meet commemorating 100 years since Gustav Nefdt summited the Western Summit - Oct 1985. Photo thanks to Mike Scott collection. 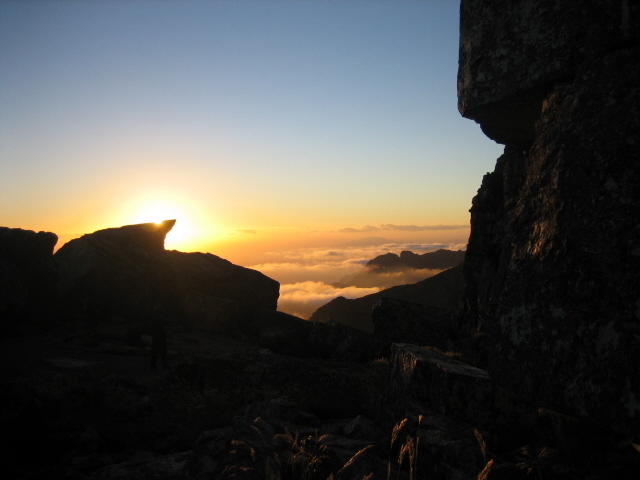 MCSA meet commemorating 100 years since Gustav Nefdt summited the Western Summit. 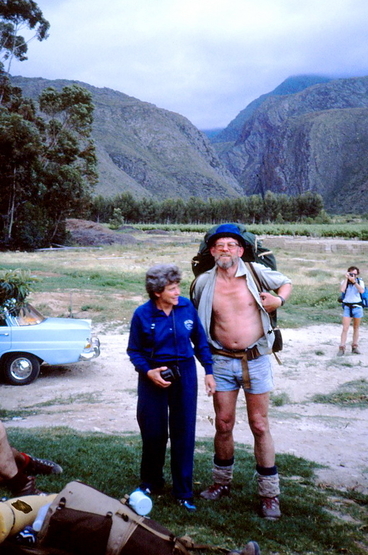 Colas and Nia Coetzee - Oct 1985. Photo thanks to Mike Scott collection. 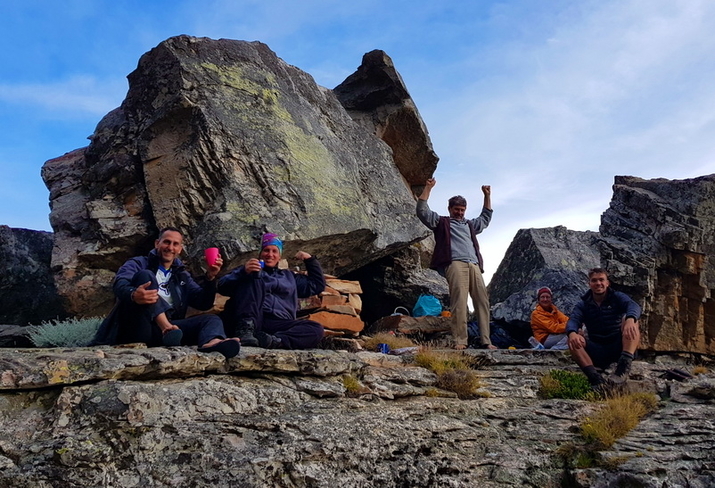 MCSA meet commemorating 100 years since Gustav Nefdt summited the Western Summit. 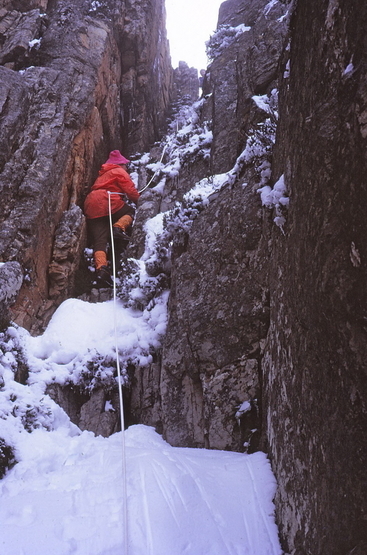 Richard Behne climbing Nefdts Route (17) - Oct 1985. Photo thanks to Mike Scott collection. 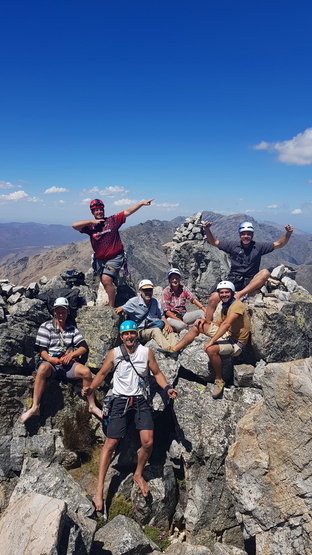 MCSA meet commemorating 100 years since Gustav Nefdt summited the Western Summit. 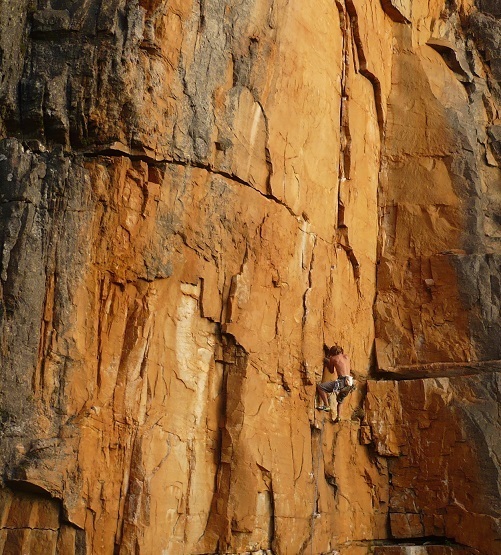 'Flying Doc' Roger Price on Bert Berrisford's variation start to Nefdt's Route. Photo thanks to Mike Scott. 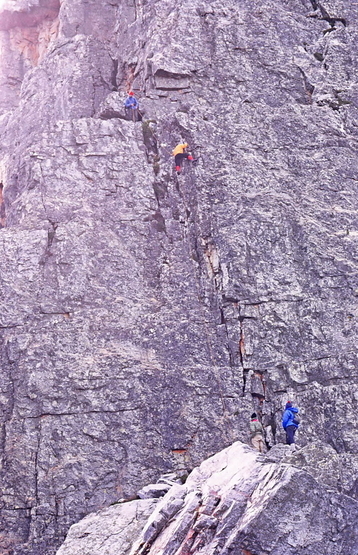 Ceri Jones, Tim Hughes, Jonathan Levy & Mike Scott on Jackson’s Quartzite Face (15) - March 1970. Photo thanks to Norman Saville via Mike Scott collection. 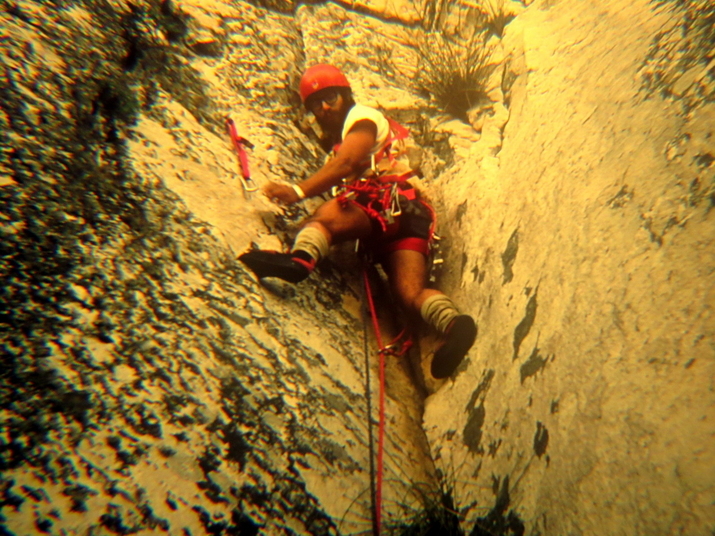 Keith Bell on the first ascent of Prestidigitator (17) - Easter 1971. Photo thanks to Mike Scott collection. 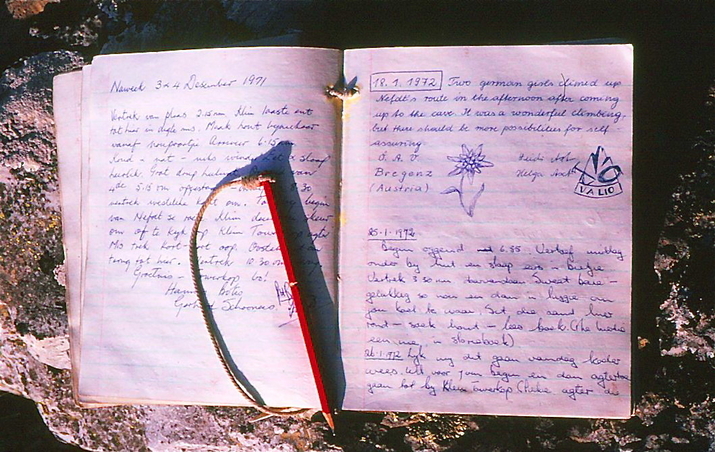 Peter Attenborough on the first ascent of Saturday’s Corner (13) - Easter 1971. Photo thanks to Mike Scott collection. 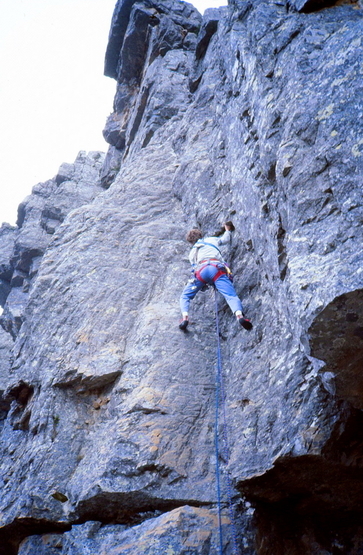 Keith Bell on the opening ascent of West Face Route (14) - Easter 1971. Photo thanks to Mike Scott collection. 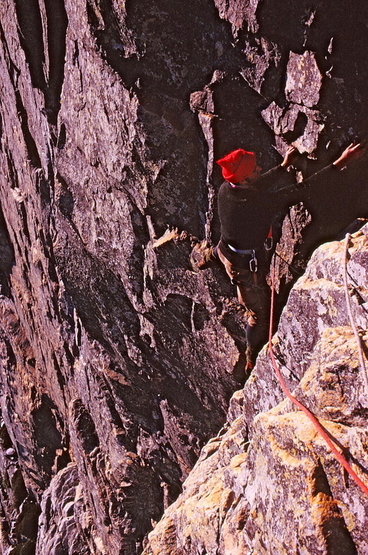 Ceri Jones belaying Mike Scott up the start of The ‘D’ Route (15) on the Eastern Summit - March 1970. Photo thanks to Norman Saville via Mike Scott collection. 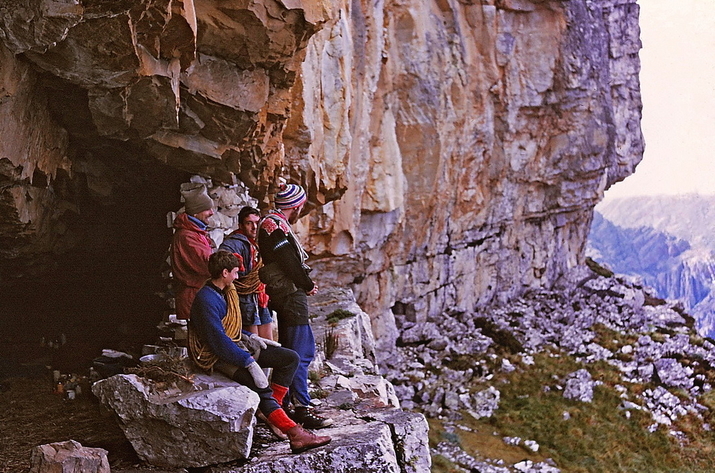 Ceri Jones, Tim Hughes, Jonathan Levy & Mike Scott chilling at Nel's Cave - March 1970. Photo thanks to Norman Saville via Mike Scott collection. 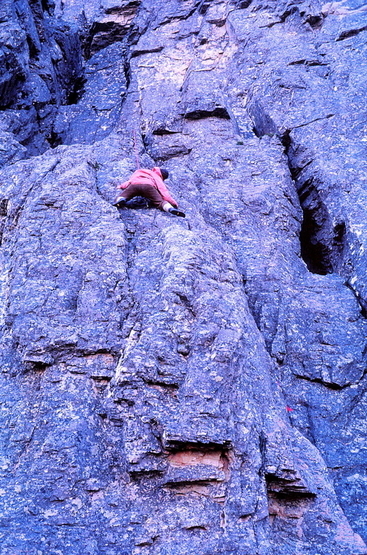 Gooney Marsh climbing on Towerkop 1973. Photo thanks to Rob Mac Geoghegan collection. 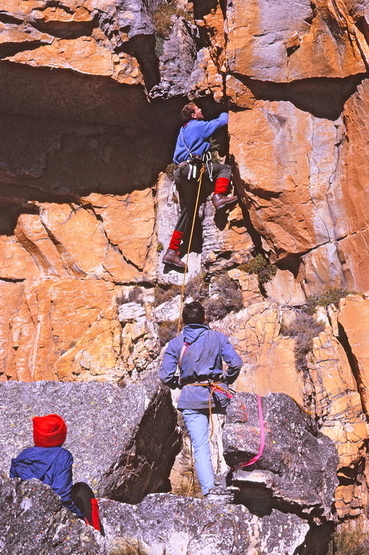 Mike & Doreen (Dollie) Scott and Peter Attenborough on Graaff’s North West Face Route - 1971. Photo thanks to Norman Saville via Mike Scott collection. 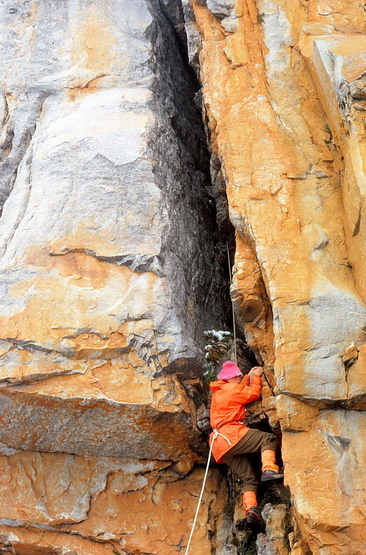 1st pitch of Black Crack (13), Doreen (Dollie) Scott climbing - 1971. Photo thanks to Mike Scott collection. 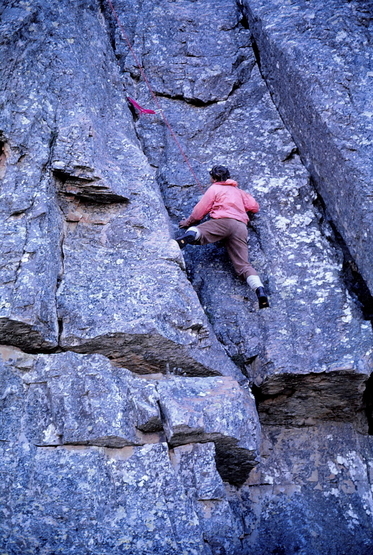 Doreen (Dollie) Scott on 1st pitch of Black Crack (13) - 1971. 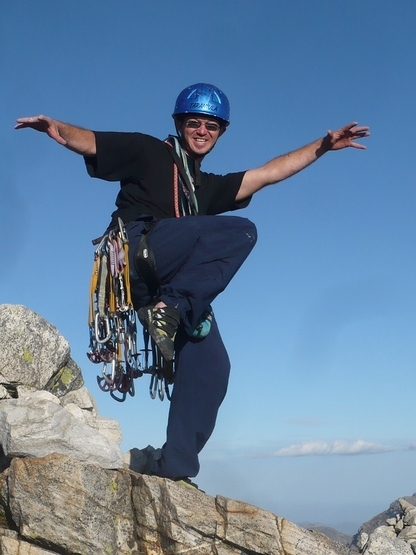 Photo thanks to Mike Scott collection. 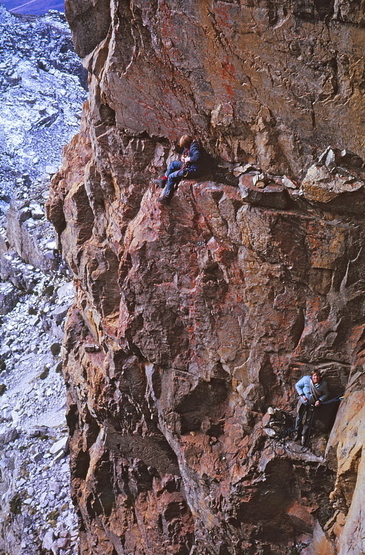 Keith Bell and John Brimble in gloomy chimney on Black Crack (13) - 1970. Photo thanks to Mike Scott collection. 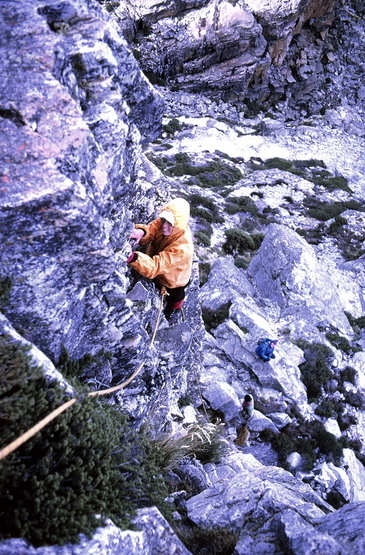 Doreen (Dollie) Scott climbing Graaff’s North West Face Route - 1971. Photo thanks to Mike Scott collection. 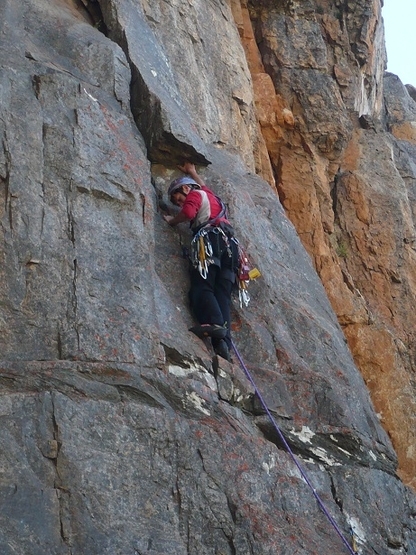 Doreen (Dollie) Scott and Peter Attenborough on stance on Graaff’s North West Face Route. Eish check that gear! - 1971. Photo thanks to Mike Scott collection. 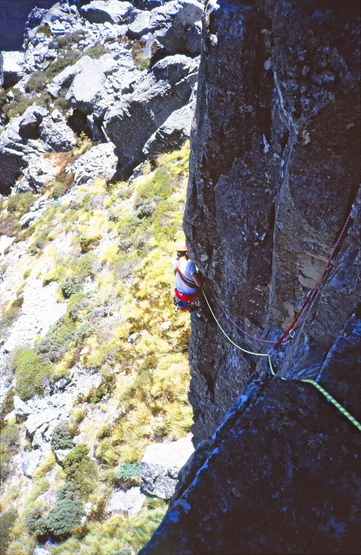 Graaff’s North West Face Route. 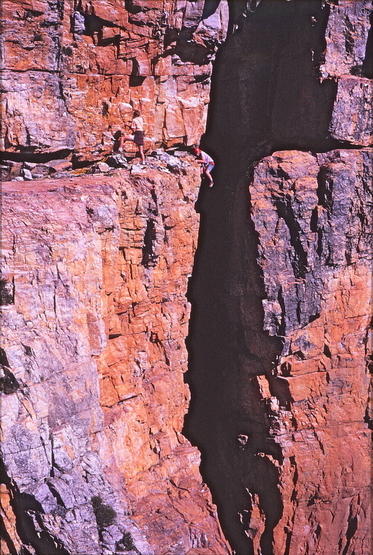 Doreen (Dollie) Scott climbing above Peter Attenborough on ledge below - 1971. Photo thanks to Mike Scott collection. 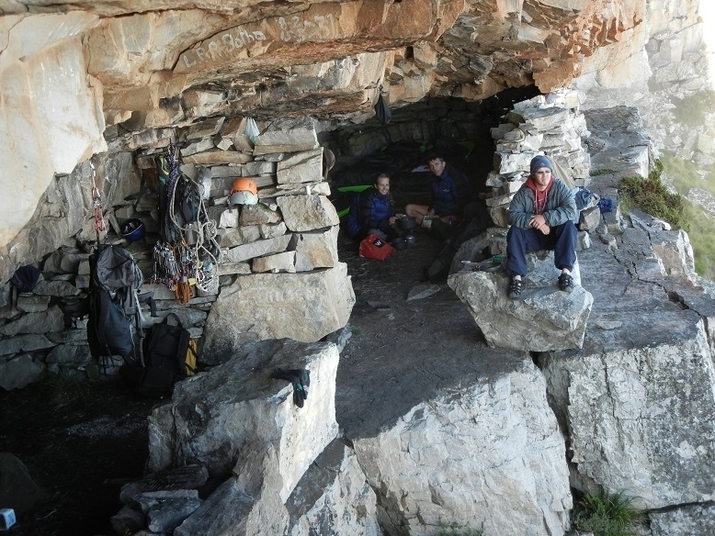 Lunch near the base of The ‘D’ Route (15) on the Eastern Summit. Doreen (Dollie) Scott, Dave Reynolds, Dave Bowker, Doug Wood etc - 1972. Photo thanks to Mike Scott collection. 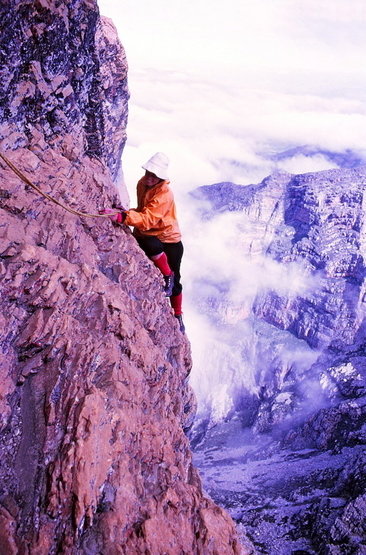 Retrieving abseil ropes from The ‘D’ Route (15) on the Eastern Summit - 1972. Photo thanks to Mike Scott collection. Towerkop in the snow. 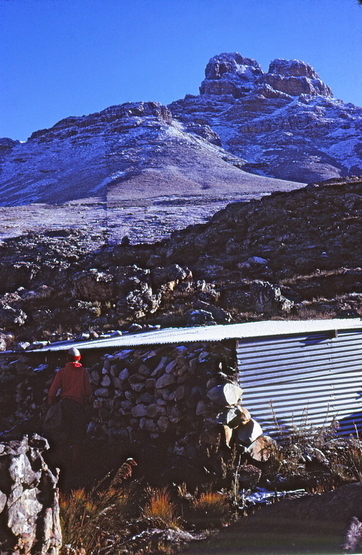 Shepard Hut morning after the Maties blew up the can of sweetcorn - 1972. Photo thanks to Mike Scott collection. 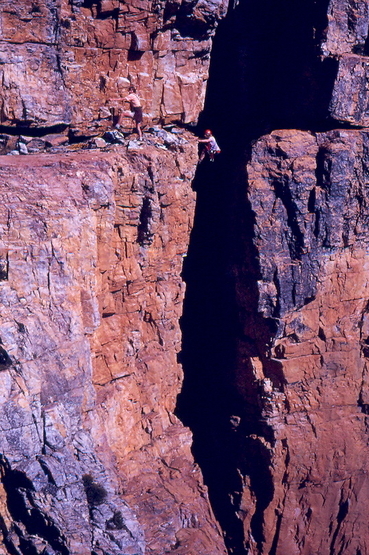 Climbers on top of the Obelisk on the old route up Towerkop - 1972. Photo thanks to Mike Scott collection. 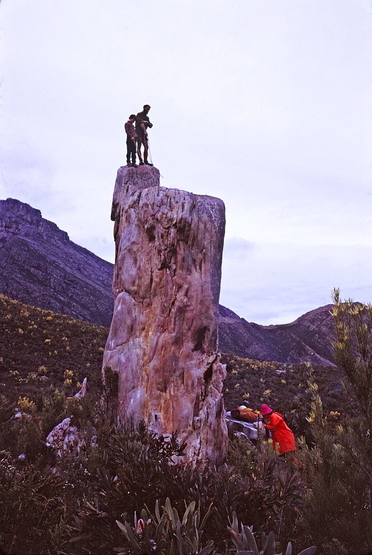 Mike Scott on top of the Obelisk on the old route up Towerkop - 1972. Photo thanks to Norman Saville via Mike Scott collection. 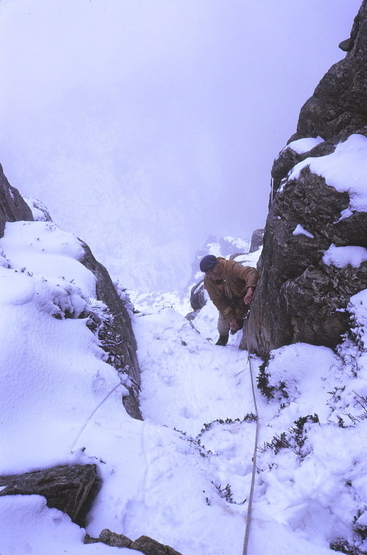 Dollie starts tight chimney on The ‘D’ Route (15) on the Eastern Summit as it is free of snow - 1972. Photo thanks to Mike Scott collection. 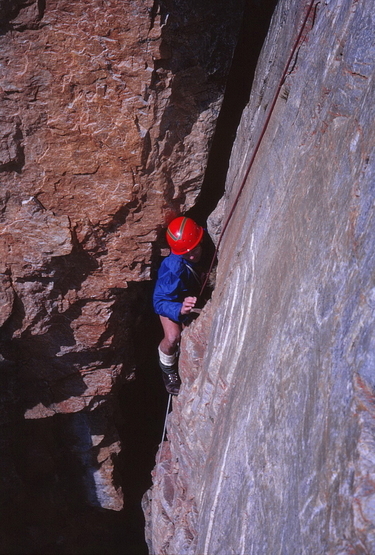 Eddie Tomlinson in gully 2nd pitch of The ‘D’ Route (15) - 1972. Photo thanks to Mike Scott collection. 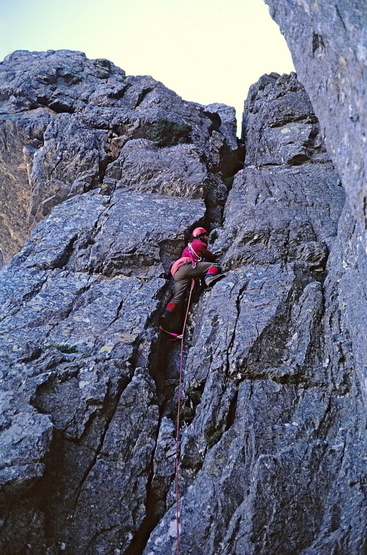 Dollie on 3rd pitch of The ‘D’ Route (15) - 1972. Photo thanks to Mike Scott collection. 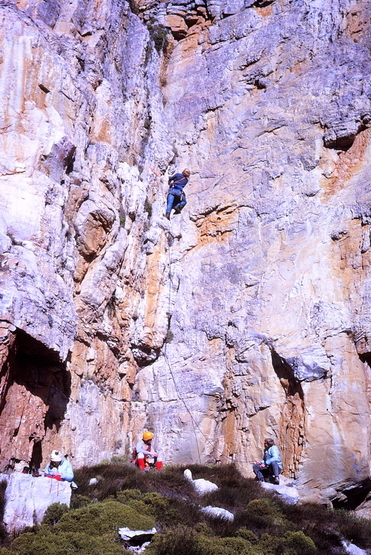 Rupert de Kock on bottom moves of Nefdt's Route (17) - 1973. Photo thanks to Mike Scott collection. 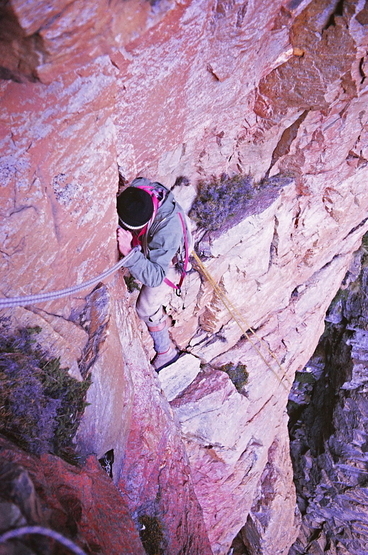 Rupert de Kock on the delicate step move on polished rock on Nefdt's Route (17) - 1973. Photo thanks to Mike Scott collection. 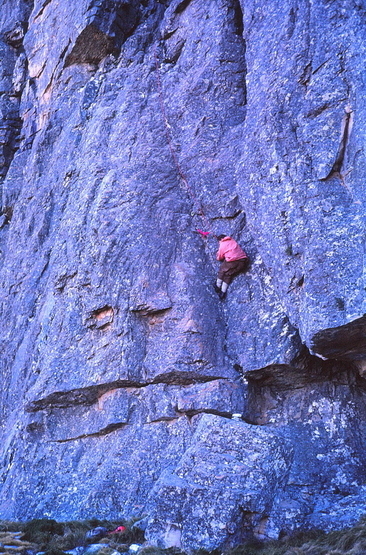 Mike Sage leads the long chimney crack pitch on Nefdt's Route (17) - 1973. Photo thanks to Mike Scott collection. 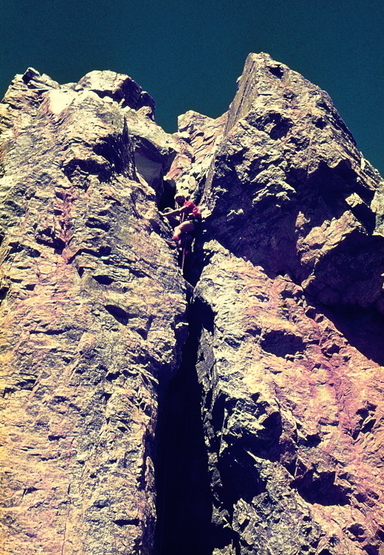 Dave Carter traversing to chimney on 2nd pitch of Jackson’s Quartzite Face (15) - September 1973. Photo thanks to Mike Scott collection. 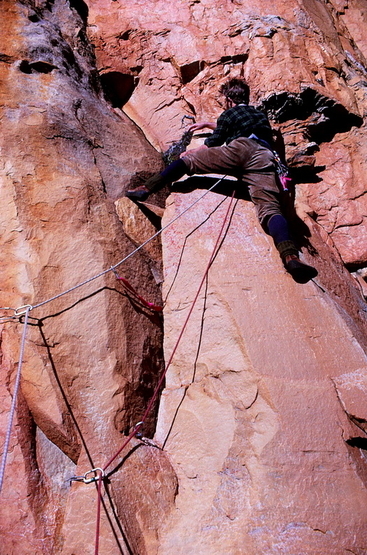 Dave Carter belays Mike Sage on 2nd pitch of Jackson’s Quartzite Face (15) - September 1973. Photo thanks to Mike Scott collection. 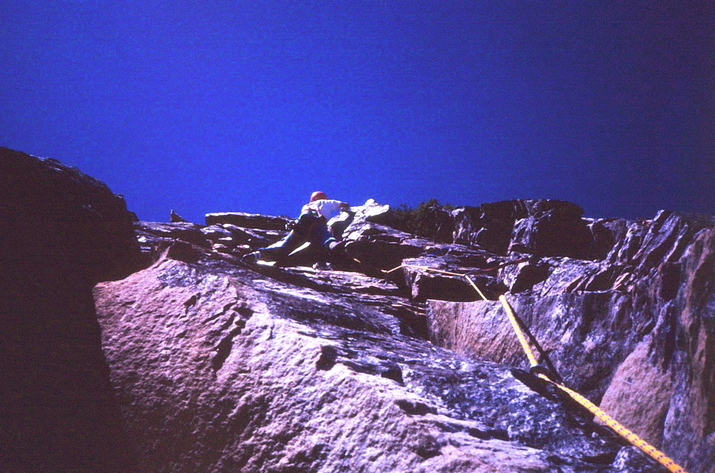 Mike Sage on smooth slab at top of chimney on Jackson’s Quartzite Face (15) where one is forced to move out onto the face - September 1973. Photo thanks to Mike Scott collection. 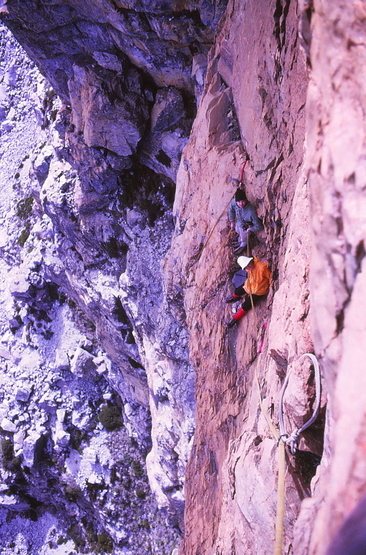 Mike Simpson belays Rupert de Kock on first F2 (14) pitch of Frank Berrisford’s Route (15) - 1973. Photo thanks to Mike Scott collection. 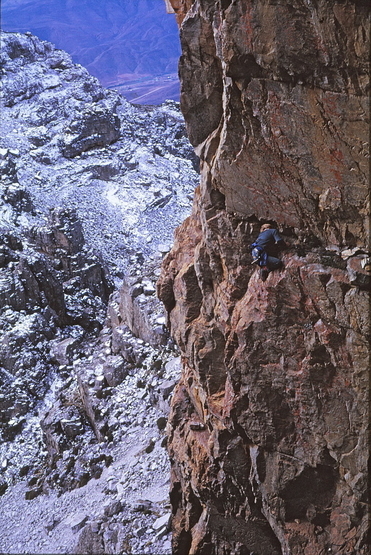 Rupert de Kock high on the face of Frank Berrisford’s Route (15) - 1973. Photo thanks to Mike Scott collection. 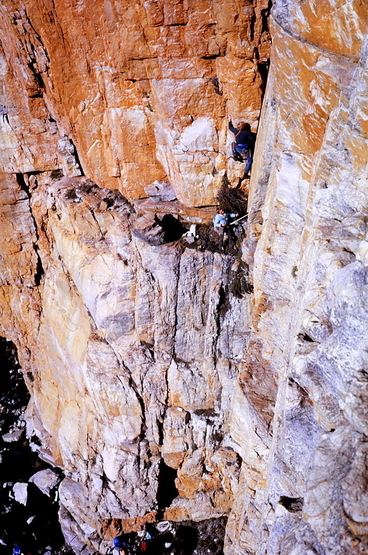 Mike Simpson leads 2nd pitch crux F2 (15) move on Frank Berrisford’s Route (15) - 1973. Photo thanks to Mike Scott collection. 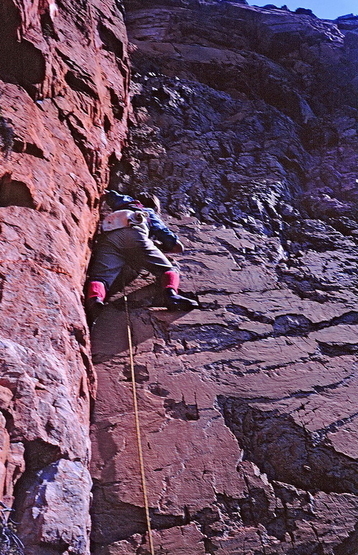 Mike Simpson on 2nd pitch of East Wall (14) - 1973. Photo thanks to Mike Scott collection. 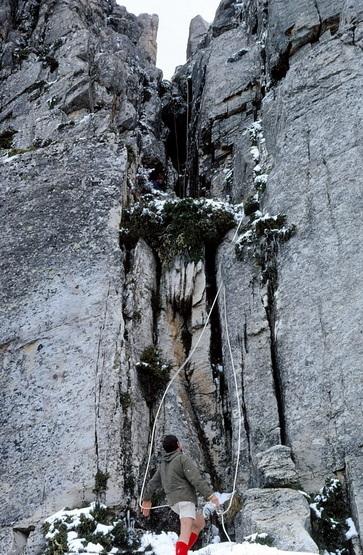 Mike Sage in the chimney on Gully D (10) on the Eastern Summit - 1973. Photo thanks to Mike Scott collection. 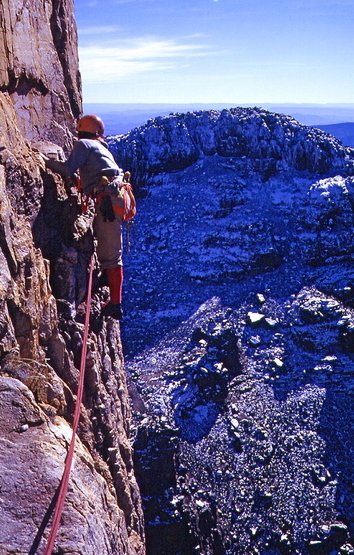 Rupert de Kock nears the belay ledge on Nefdt's Route (17) - 1973. Photo thanks to Mike Scott collection. 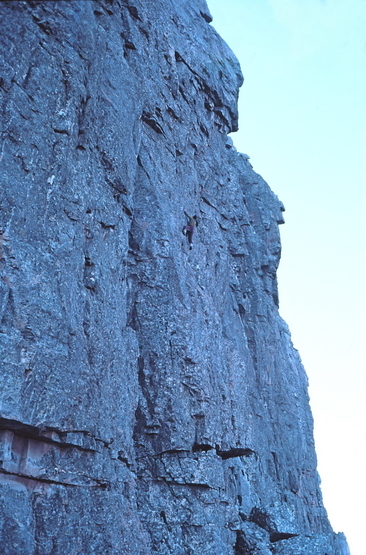 Rupert de Kock does the layback on Nefdt's Route (17) - 1973. Photo thanks to Mike Scott collection. 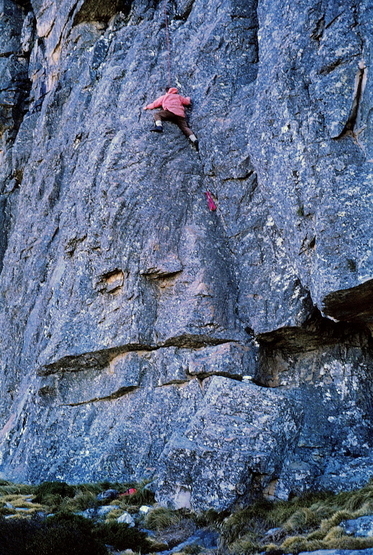 Mike Scott on White’s Finish to the Quartzite Face (15) - March 1975. 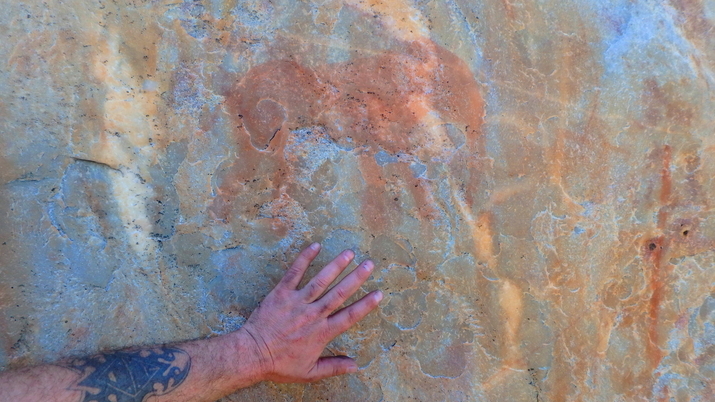 Photo thanks to Jurie Pipisch via Mike Scott collection. 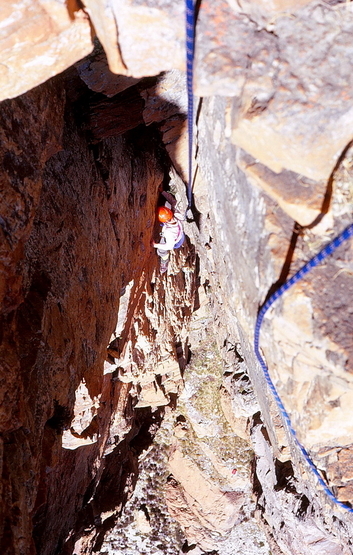 Entries in the record book in Nel's Cave. Photo thanks to Mike Scott's collection. 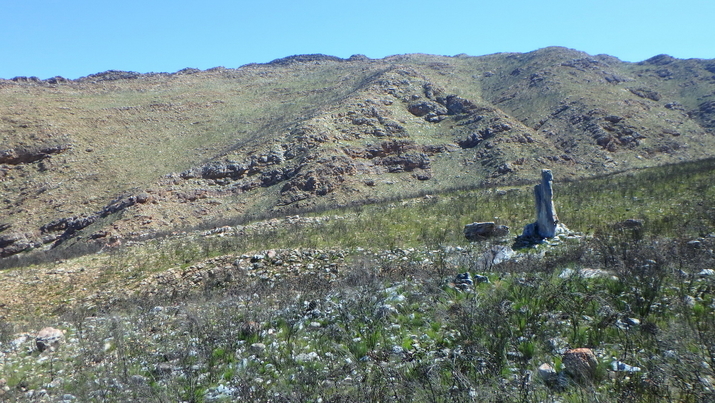 View of the South West side of the Western summit. Dion Tromp in the fore ground. New Year 1989. Photo thanks to Mike Scott. 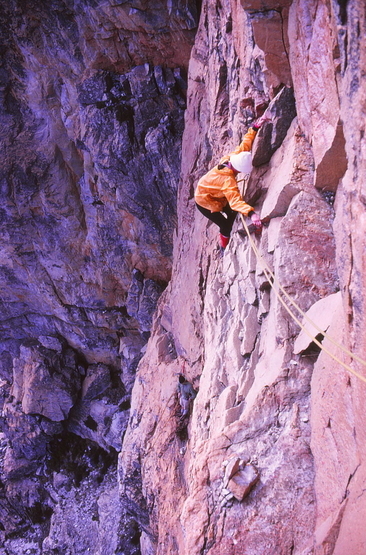 Dion Tromp on variation to West Face Direct F2 (15) - New Year 1989. Photo thanks to Mike Scott. 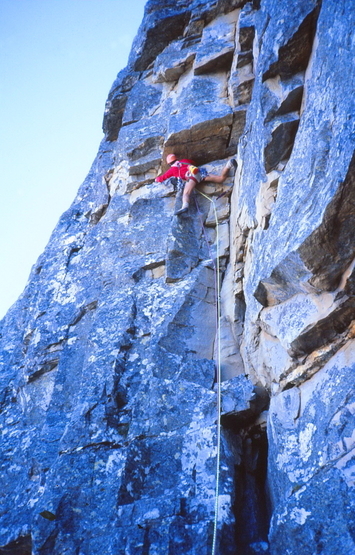 Dion Tromp puts out pro on first G1 (21) pitch, on the FA of Western Flyer - New Year 1989. Photo thanks to Mike Scott. 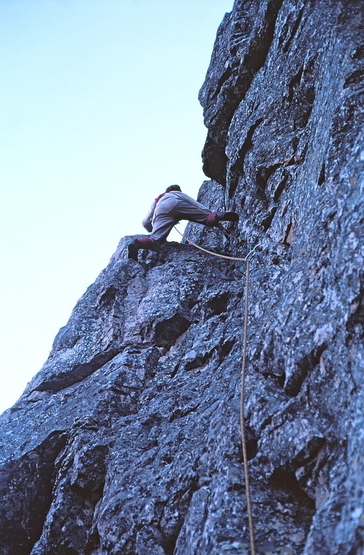 Mike Scott on 1st pitch of Western Flyer, first ascent - New Year 1989. Photo thanks to Mike Scott collection. 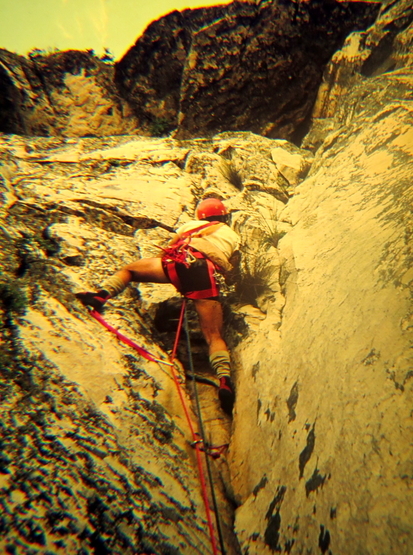 Dion Tromp near top of Western Flyer 1st pitch - New Year 1989. Photo thanks to Mike Scott collection. 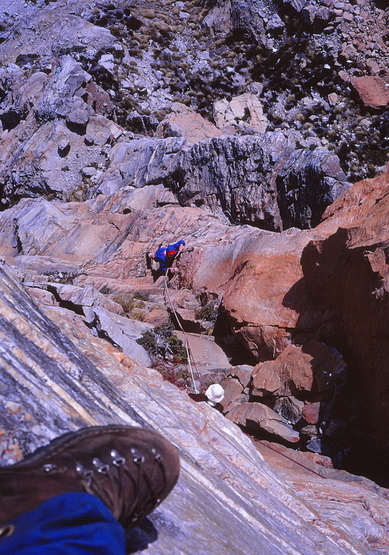 Dion Tromp on F2 (14) Chicken Ledge traverse on Western Flyer - New Year 1989. Photo thanks to Mike Scott collection. 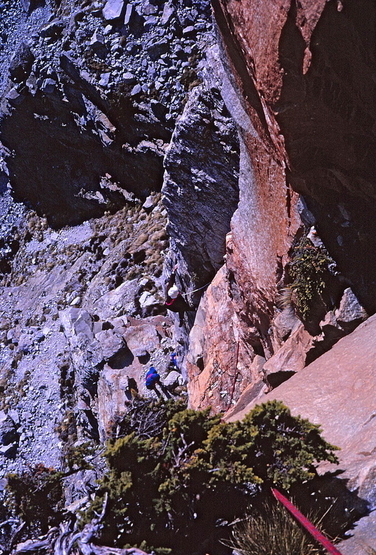 Mike Scott on the top G1 (21) ramp on Western Flyer - New Year 1989. Photo thanks to Mike Scott collection. 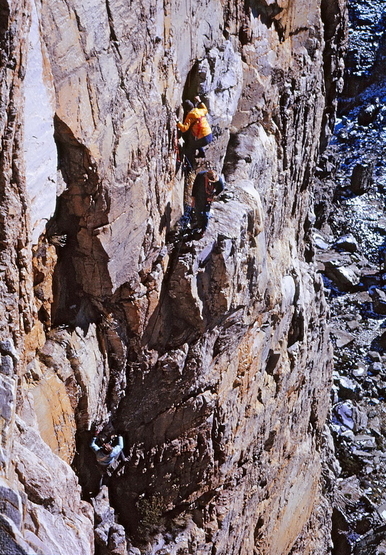 Heather and Richard Smithers, Richard Ledger, John Moss on East Wall (14) - June 1973. Photo thanks to Mike Scott collection. 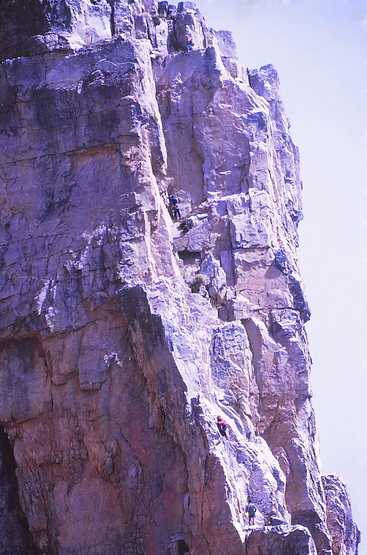 John Moss leads 2nd pitch of East Wall (14) - June 1973. Photo thanks to Mike Scott collection. 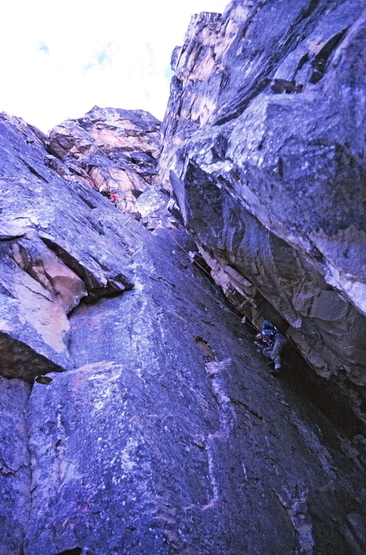 At Meyer leads 3rd pitch of East Wall (14) - June 1973. Photo thanks to Mike Scott collection. 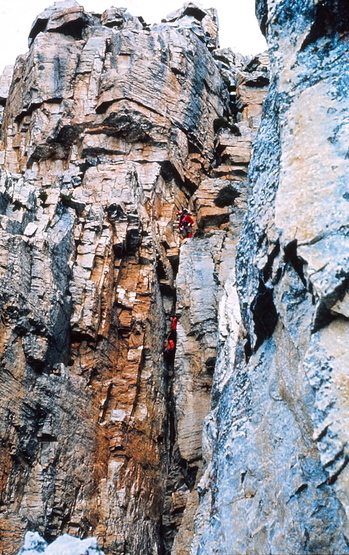 Richard Smithers follows Mike Scott on first ascent of Scott–Smithers North West Corner Direct (13) - June 1973. Photo thanks to Mike Scott. 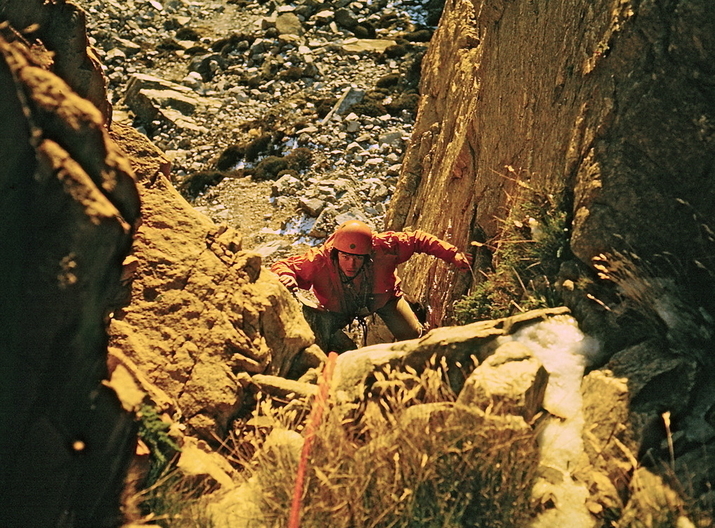 Richard Smithers tries new line on Eastern Summit from the cleft - June 1973. Photo thanks to Mike Scott. 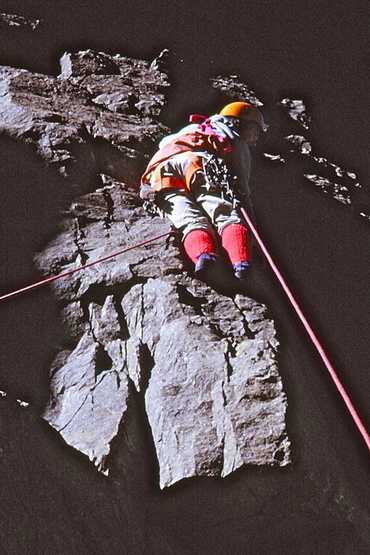 John Moss belaying Richard Ledger on 2nd pitch Saturday's Corner F1 (13) - June 1973. Photo thanks to Mike Scott. 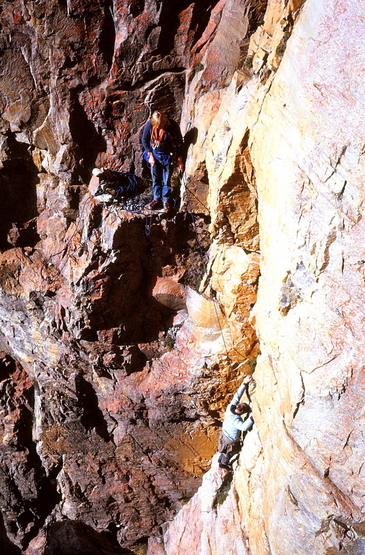 John Moss belayed by Richard Ledger, getting ready to do the Lowering Traverse on Saturday's Corner F1 (13) - June 1973. Photo thanks to Mike Scott. 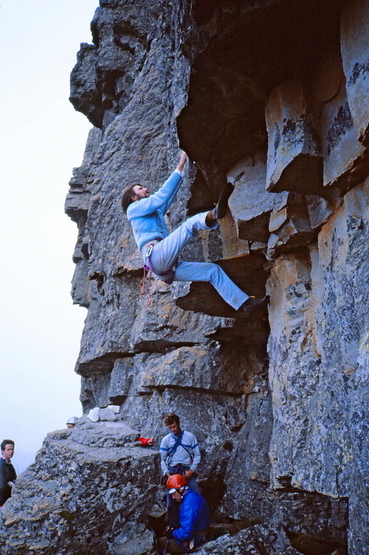 John Moss on the tricky lowering move on Saturday's Corner (13)(photo taken from Gully D) - June 1973. Photo thanks to Mike Scott. 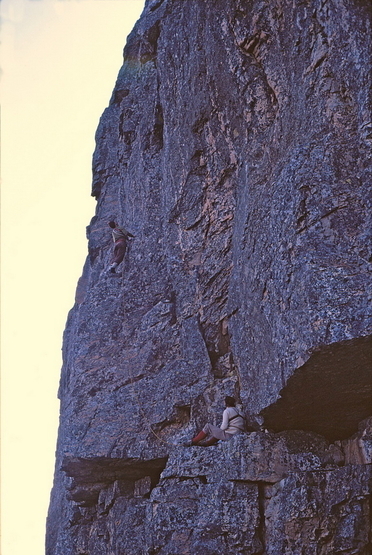 Mike & Doreen (Dollie) Scott climbing Gully D on the Western Summit - June 1973. 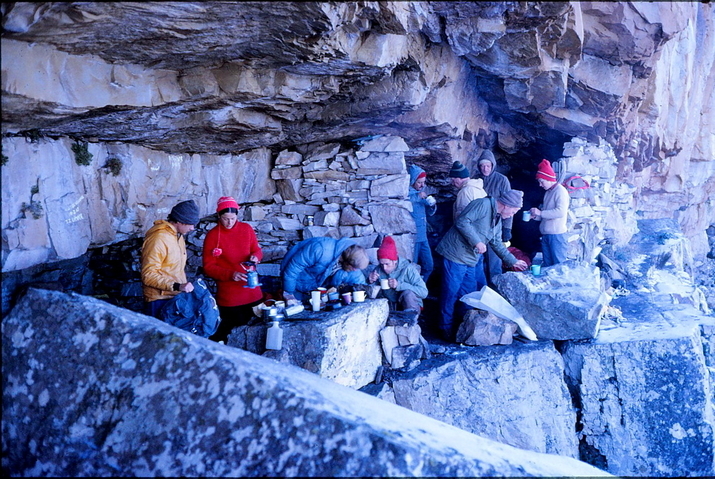 Photo thanks to Bert Bongers via Mike Scott collection. 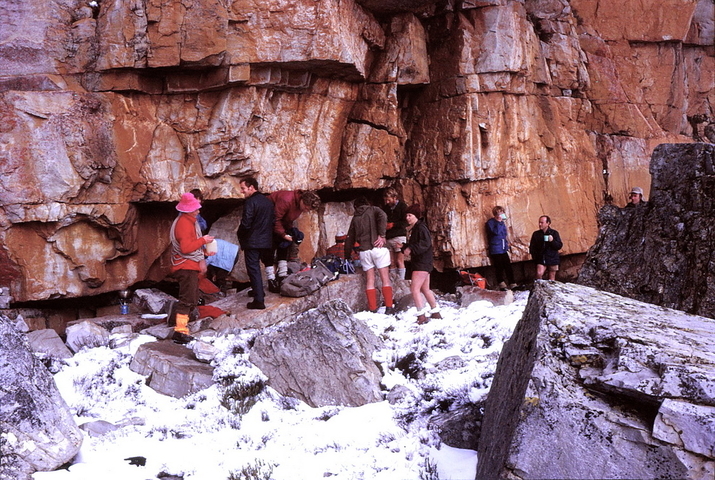 Climbing party in Nel's Cave - June 1973. Photo thanks to Mike Scott. 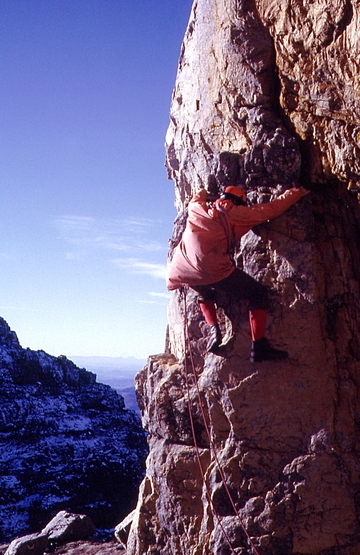 Richard Smithers on top pitch Keen's Block Route (15), with Toorberg under snow in the back ground. June 1973. Photo thanks to Mike Scott. 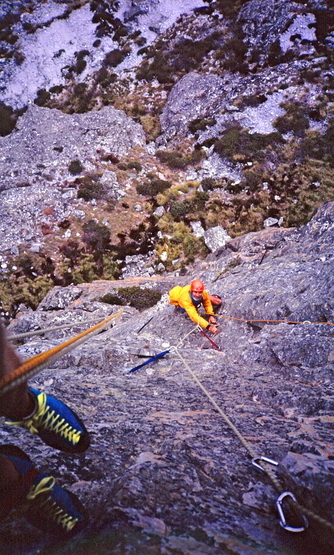 Mike Scott on Graaff’s North Buttress (13) June 1973. Photo thanks to Mike Scott. 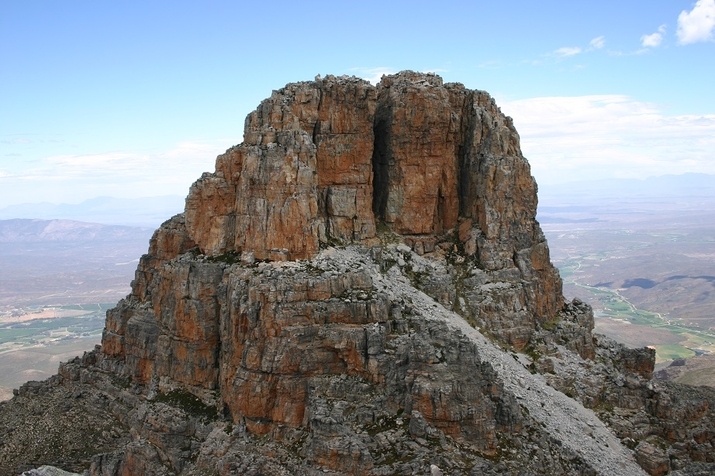 Towerkop was first climbed by Gustav Nefdt, a local farmer, who solo climbed to the top of the Western Summit in 1885. 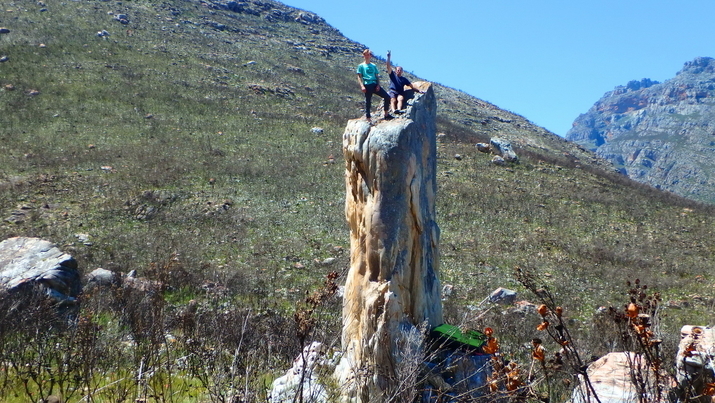 This is the first recorded rock route in South Africa. For a comprehensive history, please check out the Towerkop History PDF on this site. 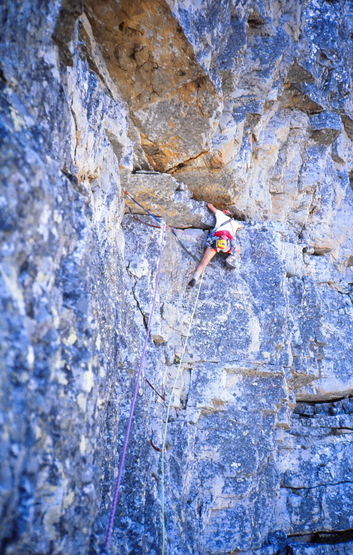 Towerkop has 116 naturaly protected rock climbing routes. 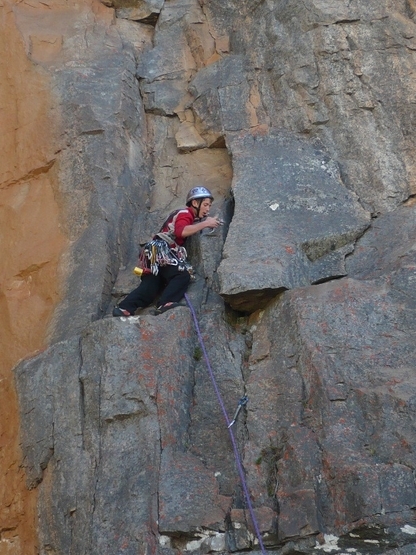 The sandstone & quartzite mixed rock lends itself to naturally protected routes. 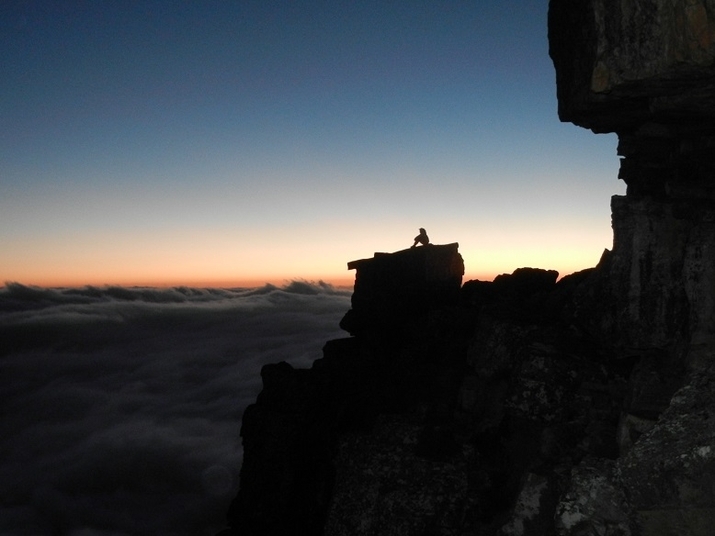 Please note; there are no sport routes on Towerkop. No bolts what so ever should be placed. 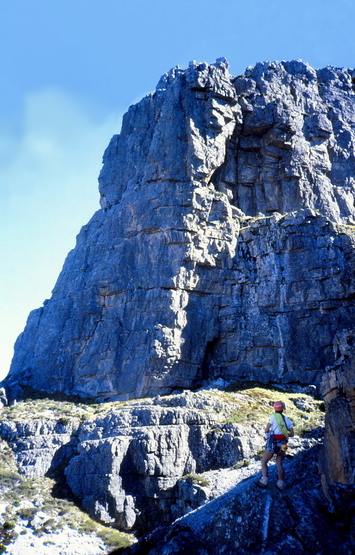 Towerkop is a traditional climbing area. 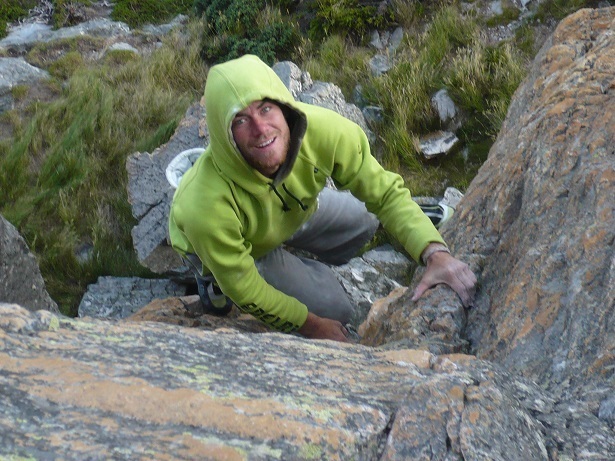 There is potential for boulder problems near the Shepard's Hut. It would be a long walk with pads. 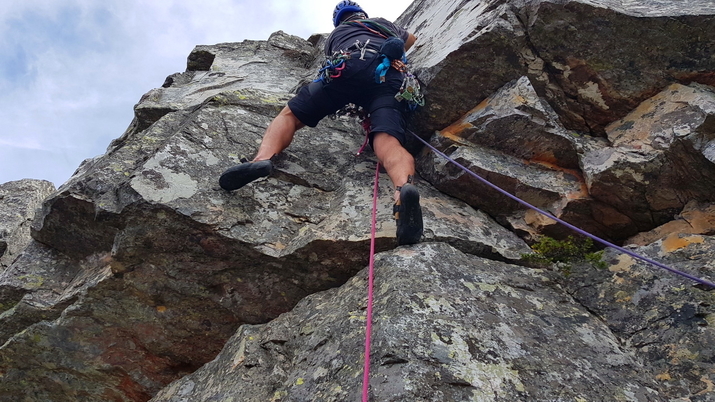 Climbing at Towerkop is a proper mountain experiance. 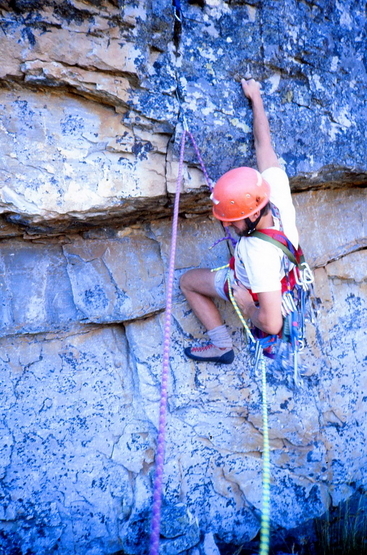 Enjoy the adventure! 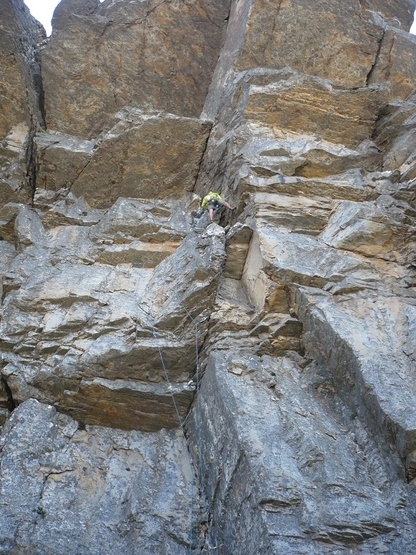 Access is not restricted, but the path up Towerkop is partly on private land. 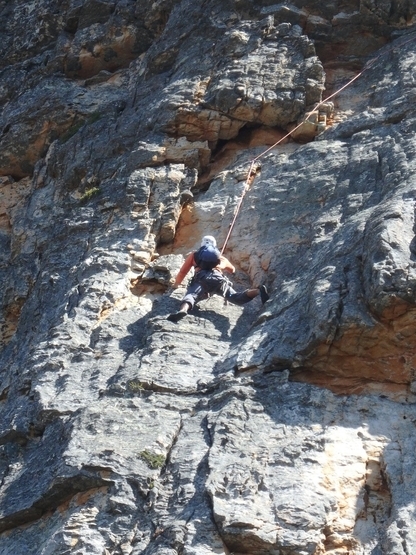 Please contact info@easterncaperockclimbing.co.za to be advised of the current arrangement for access. Remember politeness & manners will rule the day.